For anyone who has ever held a golf club there is a natural desire to be able to play better golf. The Beginners Guide To Playing Golf is an ebook and audio guide to the game of golf and how to play better golf. Like any other game rules and skill, and other variables, will affect your performance. Have you ever seen cartoons about a frustrated golfer? Be prepared golf is as much a mental game as a physical one. Secret tips to control your frustration can give you an immense advantage, even over experienced players who let it get the better of them. What about clubs? Which one is used for which shot? Making smart decisions is what wins the game and thats why pro golfers have experienced caddies to give them advice on the course - but you dont have that. An overview of clubs and when to use them will show others youve got the know-how! How To Achieve the Perfect Grip! Yes, it matters how you hold your club, and heres what you need to know to do it right. Proper Stance and Posture for Golfers! A proper swing requires a proper stance, if you dont know how to stand then dont expect too much from your clubs. Proper Stance for Perfect Putts! Putting requires a different technique to get results. Dont spend all afternoon at the same hole trying to make the putt! Correcting Common Swing Mistakes! Its easy to forget the principles behind great swings until youve made several frustrating shots learn these tips and avoid common mistakes. How and When to Use a Wood! Not always the easiest club to get comfortable with, learn how to make great shots with a Wood. When and How to Use an Iron! Theres more than one in your golf bag, but when should you use them and how? How to Improve Your Contact! Theres nothing more embarrassing than missing the ball or having it dart to the side. Learn how to improve contact and get that ball moving in the right direction! Overcoming Your Fears - The Mental Game of Golf! The secret thats worth the price of the whole book how to keep your head in the game and not let frustration get the better of you! Tips for Uphill and Downhill Swings! Special instructions to help you make the best shots in any situation. How to Get Out of the Bunker! Dont want to sit in the Bunker all day? Try these tips and you wont! Handling the Rough! Youre bound to find yourself in the rough, especially when youre just learning, heres how to get out and keep the game going. Get this guide now and see if it can\\t improve your golf scores and your enjoyment of playing golf. To get this guide for just $9.99 click the button at the top of the menu on the left hand column. 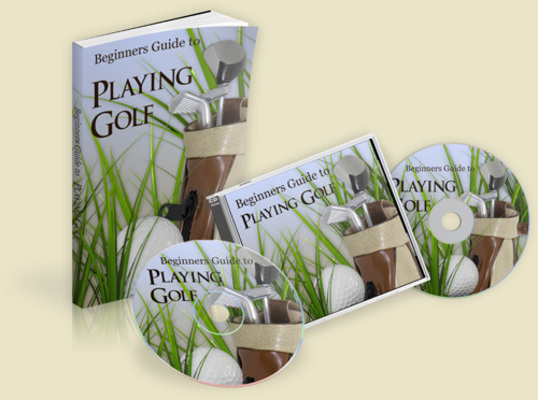 A Beginners Guide To Playing Golf golf tip;learn to play golf;playing golf;tips for playing golf 9121375 9.99 onlinesolutions Fresh Download Available!